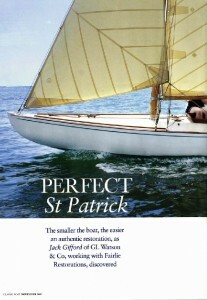 The smaller the boat, the easier an authentic restoration, as G.L. Watson & Co. discovered. G.L. Watson & Co. Ltd.
© 2019 G.L. Watson & Co. All Rights Reserved.